A COLONY of stick insects are eating their way through one of Scotland’s most important collection of plants. 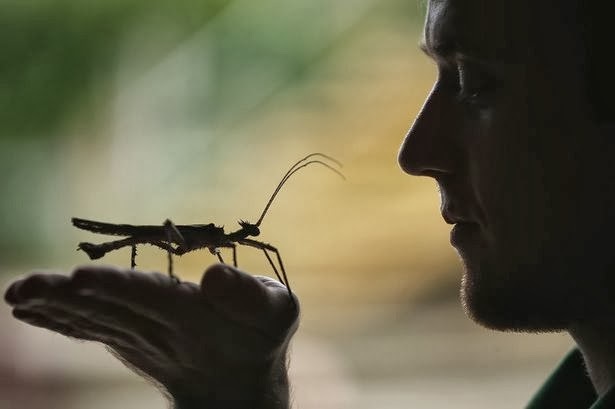 Gardeners at Glasgow’s Botanic Gardens believe someone keeping stick insects as pets decided to dump them in the glasshouses. They have bred rapidly and the bugs are devouring the displays. It’s thought there are more than 100 stick insects feasting on rare, valuable and endangered plants and flowers. Gardens curator Steve Herrington said: “We think someone’s got bored with the stick insects at home and released them into the gardens." “They might have thought they would live happily in the warm glasshouses." “It might have started with just two or three stick insects. But from there, they’ve become quite a large population." “They keep breeding and we can’t find them all." This is a surprisingly common occurrence - here is a list of food plants of Carausius morosus when it was introduced into the San Diego Zoo.